Call me an idealist if you want. Call me a Constitutional purist. Or just call me an ordinary, working American. But the single biggest problem in our state and national governments is that our elected officials have forgotten a founding principle. Our elected official are first and foremost, public servants. They are elected to serve the people of their districts, all of the people, and serve at the will of the people who live in their district. When our ancestors founded this country and penned the Constitution, they viewed membership in our Congress as a civic duty. They envisioned a system where neighbors would serve for the good of the community for a few years and then return to their daily lives. Unfortunately, more and more of our elected officials see politics as a career choice as opposed to a privilege. Half of our members of Congress have served 8 or more years and “since the 109th Congress, the average years of service has been greater than 10 years“. 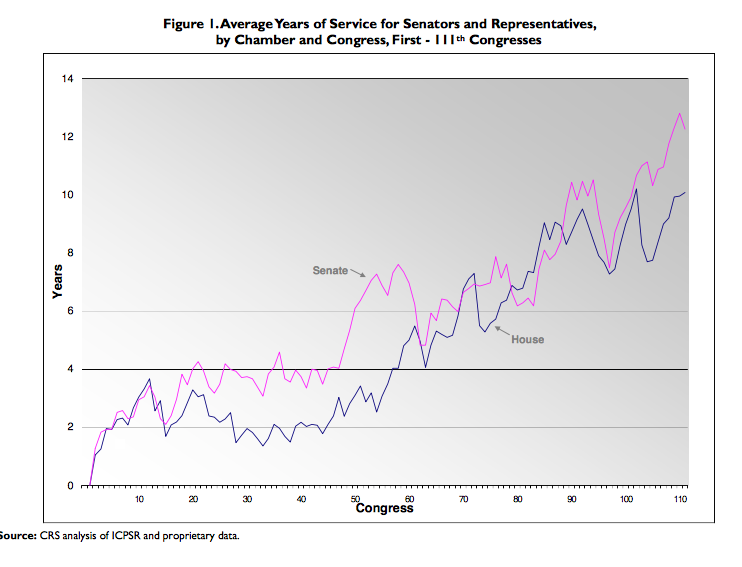 The average length of service for members of Congress has risen from an average of around 3 years in the early 1800’s to over 10 years today. Part of the reason, the pay is pretty good. $174,000 a year + pension + health care + expenses. Since 1980, the pay has tripled. Currently representatives’ pay sits about 3 times the median income of American workers and means they are paid more than 95% of all American workers. The work, though demanding, is often treated as part-time at best. “The House of Representatives has averaged 138 “legislative days” a year since 2001, according to records kept by the Library of Congress. That’s about one day of work every three days, or fewer than three days a week.” Or to put it in the per diem terms which is how representatives were paid until 1855, we pay our House members roughly $1250/day. 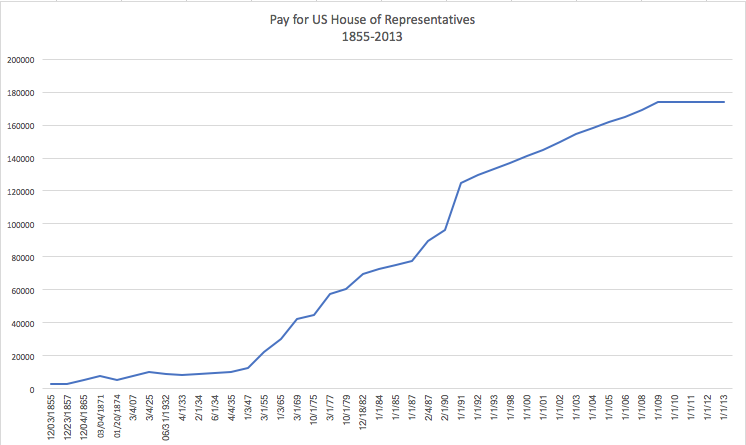 Congressional pay for members of the US House. Of course when you are already a millionaire only making $150/hour is acceptable. More than half of our representatives in the US House have a net worth in excess of over $1 million and Dennis Ross claims his home in Lakeland alone is worth in excess of $3 million. And then we look at what our representatives do to get elected. Many representatives spend as much as half of each day raising money for their party or own re-election. (Yes, we are paying them $150/hour to fundraise on their own behalf.) Dennis Ross’ campaign alone has raised over $5 million in his races for the US House of Representatives with $20,000 coming from self-financing and 85% coming from PACs and large industry groups (insurance >$600,000, banking-finance>$500,000, Koch Industries $35,000, ATT $34,000 opensecrets.org). Even to run for office, most candidates must either be retired or are in a position to quit or limit work for 18 months or more. How many “middle-class” Americans are in such a position? I don’t begrudge these candidates, heck I wish I could campaign full-time, but how can we expect any candidate to represent the middle-class if they don’t live in the same reality as the middle-class. The point is the people we elect, are not average Americans or even “middle class” by any definition of the term. We get frustrated because they fail to understand our lives or do anything to help it. Then we complain and re-elect the same elite who have consistently proven not to work in our best interest . 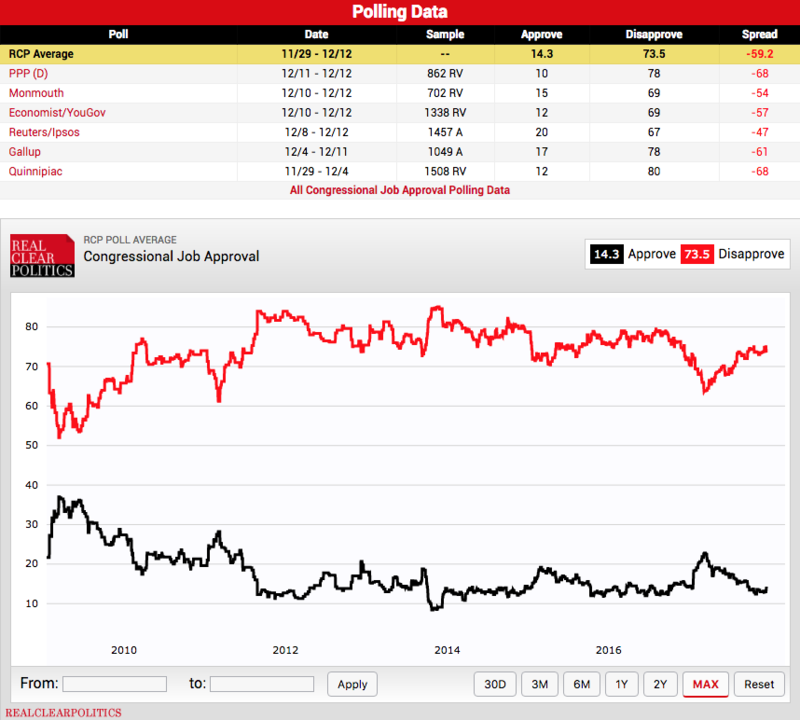 97% of US House of Representative were re-elected in 2016 despite an approval rating of only 15% at the time. We need to elect working people to represent the working people of our country. We need to elect people who go to work every day, struggle to make ends meet and to provide a better future for our children. People just like you. We need to elect people who have spent decades living, working, praying, and serving beside you in the community. We need to elect people who understand what it means to serve the people of our community and who have a decades long track record of unselfishly giving of their time, talent, energy, and money to serve our neighbors. I am running to be your representative because I am passionate about serving our community and making sure our middle-class is represented in Washington. If you agree, I’d appreciate your vote and your support. You can donate to our campaign by clicking here and can volunteer to help by clicking the Join the Team tab in the menu.